It belongs to the species Capsicum Baccatum, a variety 'little cultivated. 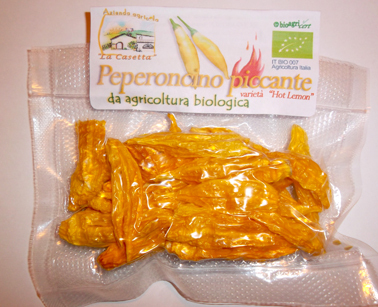 The Hot Lemon pepper, also known as Lemon Drop, is very used in Peru' to give flavor and fragrance to dishes where it is also called "Kellu Uchu". In addition to a high and persistent level of hotness the Hot Lemon has a particular scent, spicy, very reminiscent of citrus and especially the lemon. Until 1990 it was virtually unknown outside Peru ', but now is gaining popularity' with its special features. The level of hotness, measured in SHU, can oscillate between 200,000 and 280,000 degrees. 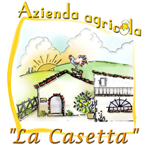 Cultivated in "La Casetta" harvested and immediately cleaned, washed and dried.